The National Society of the Sons of the American Revolution recognized two Orange County Sheriff's Office Deputies today: Master Deputy Chris Marcus and Deputy First Class Autumn Chouinard. Deputy Marcus was awarded the Medal for Heroism after shielding a Sergeant who had been shot several times, saving his life. Deputy First Class Autumn Chouinard received the Law Enforcement Commendation Medal for her work ethic and dedication to law enforcement in many areas. 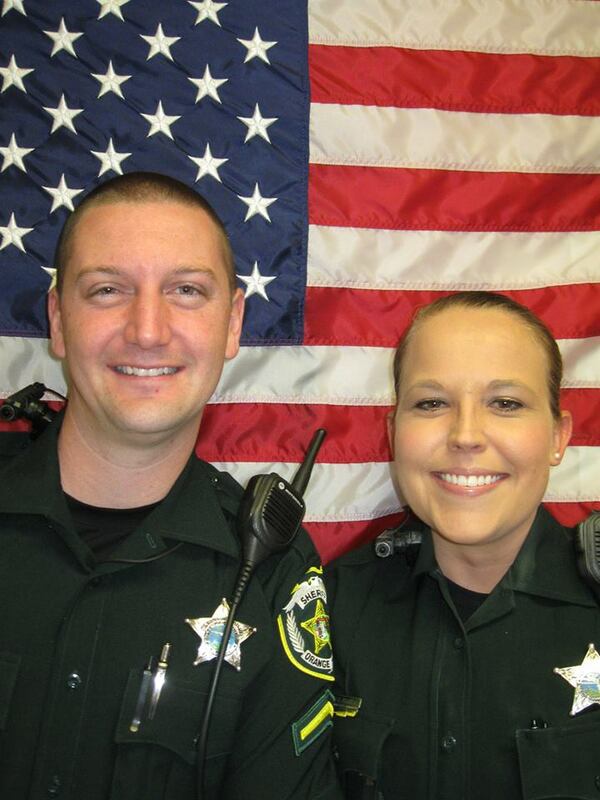 We are proud of our deputies! Sheriff Mina was proud to recently welcome seven new members to the Orange County Sheriff's Office SWAT Team. The deputies completed a two week SWAT seminar, hundreds of hours of training, and their one year probationary period to become full members of the SWAT Team. Today the Orange County Sheriff's Office Mounted Unit hosted a retirement party for Diesel, one of our valued Mounts. Refreshments included carrot cake and carrots. Diesel was donated three years ago by Mitchell Rice and his daughter. He is a 14 year old Thoroughbred and has served the citizens of Orange County admirably since 2016. He will be joining other OCSO retired Mounts Hollywood, Roman, and Dylan at Mill Creek Farms in Alachua County, Florida. Mill Creek Farms is a beautiful non-profit stable that cares for many horses. We will miss him, but we know that Diesel will enjoy his new retirement home! Corporal Joyce Rougeux and Deputy First Class Jason Sickles were recently honored as December Deputies of the Month for Sector 5. In December, they responded to a violent domestic disturbance in which a woman was strangled. They immediately secured the suspect, keeping the couple's 3-year old child safe from harm. Corporal Rougeux and DFC Sickles attempted life-saving efforts, but tragically the woman could not be saved. OCSO thanks them for their efforts and commitment during this difficult and tragic situation. The Orange County Sheriff's Office was proud to partner with the Fraternal Order of Police Lodge #93 for the Annual Cops and Kids Holiday Shopping event. Over 150 children attended the event at the Super Target on Millenia Plaza Way. Each child was able to purchase up to $100 in holiday gifts while shopping with one of our deputies. Thank you to everyone that made this event possible! This year we have 8 Burglar Boxes available in Orange County to accept cardboard packaging. Help reduce residential burglaries by bringing your boxes to one of these locations. Sheriff and Mayor-Elect Jerry L. Demings and Sheriff-Elect John W. Mina were proud to attend the recent Grand Opening and Dedication of the Jerry Demings Center for Recovery and Reentry. The center offers comprehensive therapeutic services to criminal justice involved individuals and their families. We are honored to partner with them as part of our efforts to reduce the impact opioids has on our community in Central Florida. We hope that you and your family have a safe and happy holiday season. 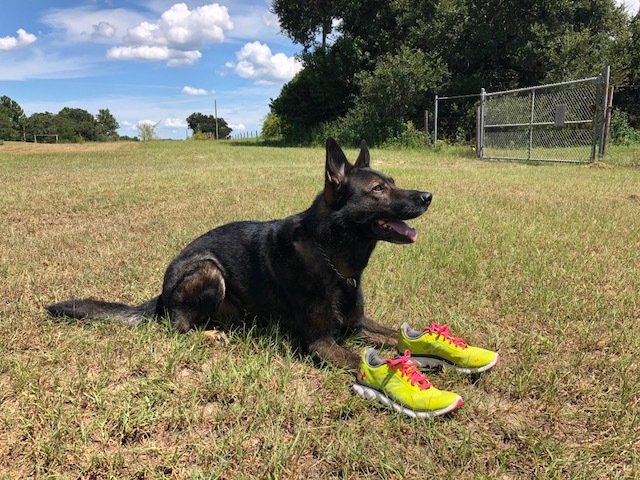 K9s United raises money with 5K and 9K races to help Central Florida K9 units get the equipment and training they need. K9 Koa is lacing up and ready to go for this fun event! For full information, view the 9K for K9s Flyer. 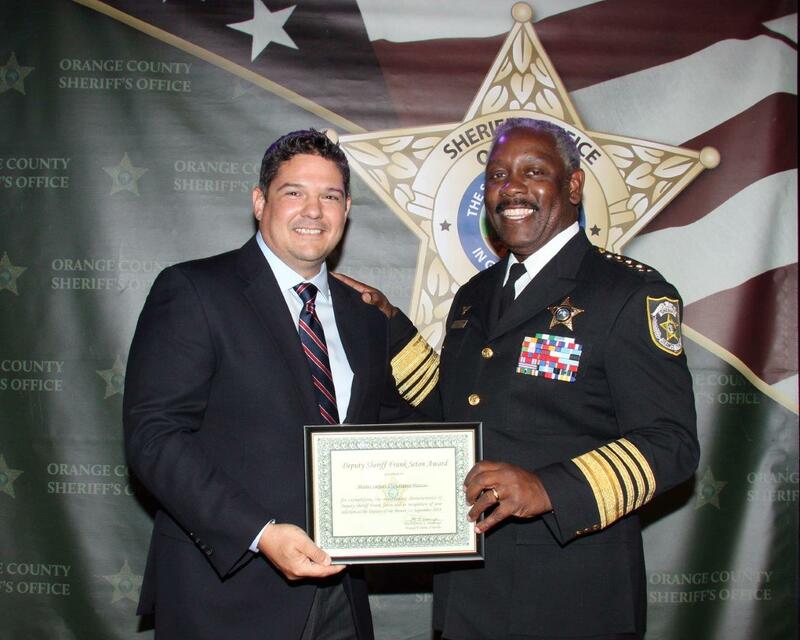 On October 23, Orange County Sheriff Jerry Demings proudly presented several awards to agency employees and members of the community. The following were honored for their outstanding service to the community. We thank New Destiny Christian Center in Apopka for opening your facility to us for the Award Ceremony. Along with these awards, we recognized many others for their dedication, service, and professionalism while serving the citizens of Orange County. Congratulations to all of the recipients and thank you for your service. 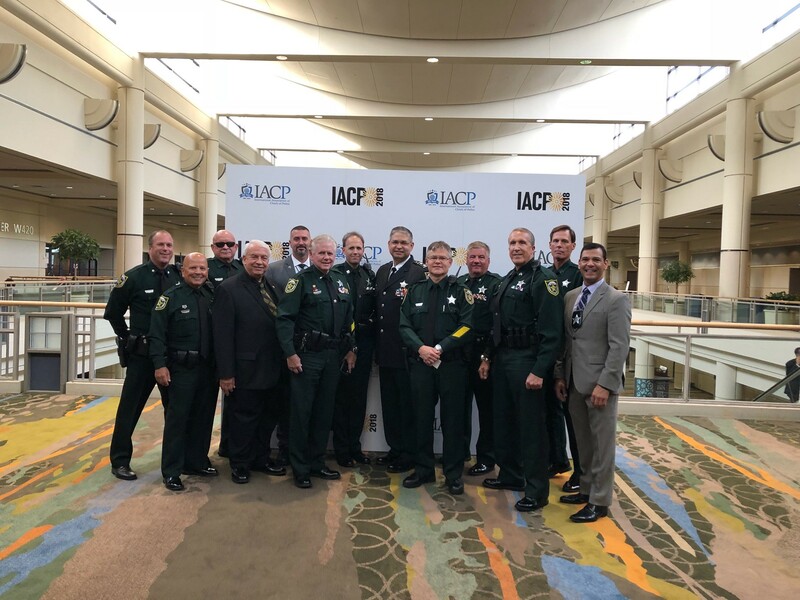 The Orange County Sheriff's Office Reserve Unit was recently recognized with the 2018 IACP Leadership in Volunteer Policing Award. 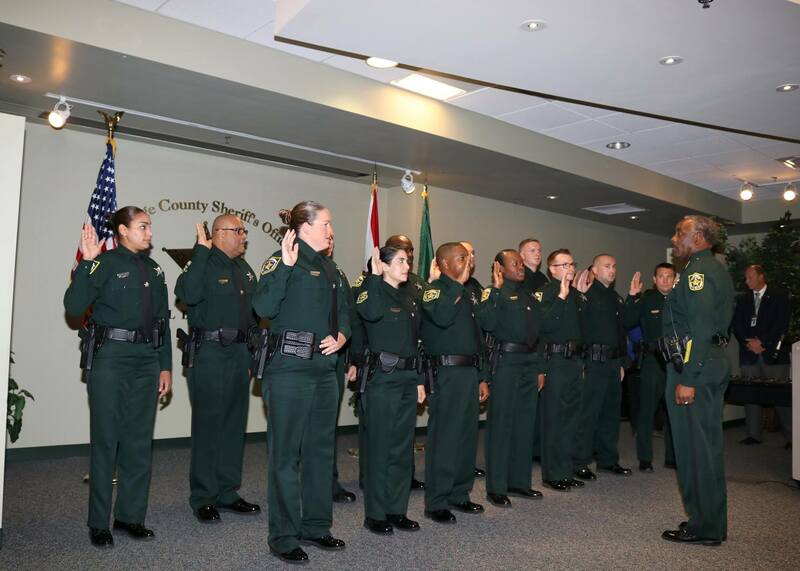 The OCSO Reserve Unit is made up entirely of volunteer deputy sheriffs, men and women who have undergone extensive amounts of initial police training and annual re-training, to serve their community as police officers. 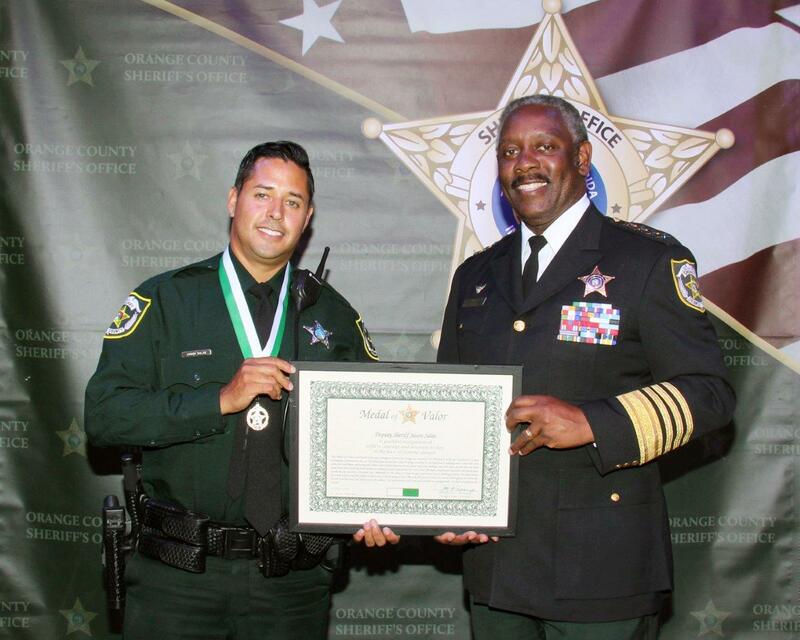 The OCSO Reserve Unit was recognized because of the integration of reserves within the agency, progressive leadership and innovation, and a record of service above self. Congratulations OCSO Reserve Unit! The Orange County Sheriff's Office hosted the 10th Safety Expo this past Saturday, October 20. The Safety Expo is an opportunity for kids and adults to get hands-on experience with our Specialty Equipment and Teams such as our helicopter, K-9, motorcycles, bomb squad, forensics, and much more! It's always a pleasure to interact with the community, sharing safety tips, and getting feedback! 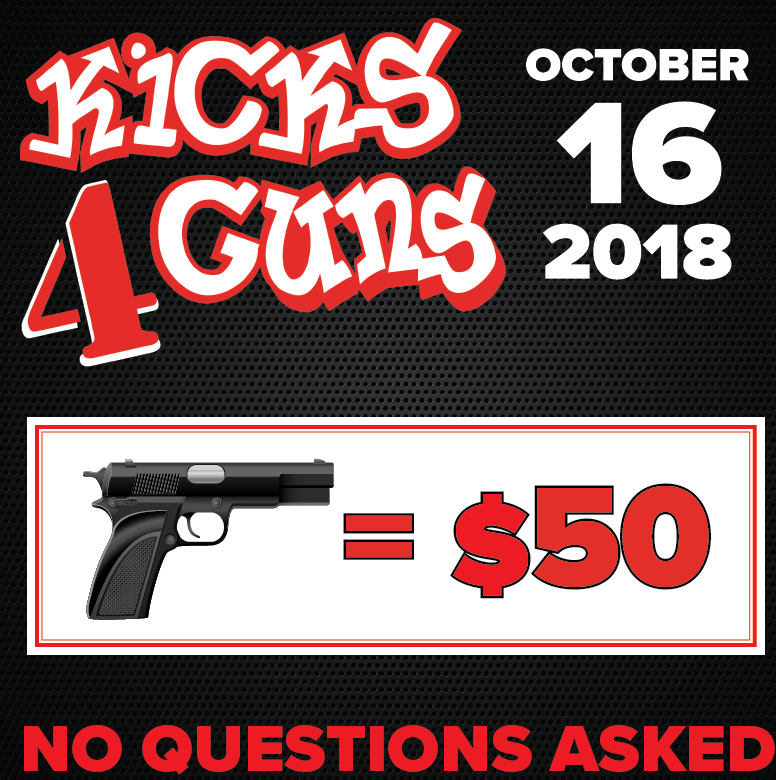 OCSO is taking unwanted guns off the street with Kicks 4 Guns! The Orange County Sheriff's Office is offering a $50 gift card for your unwanted firearms! Deputies will be at four locations in Orange County on Tuesday, October 16th collecting firearms. No questions asked and no ID required! Citizens asked to place the unloaded weapon inside a plastic bag. An OCSO deputy will remove the gun from the vehicle. 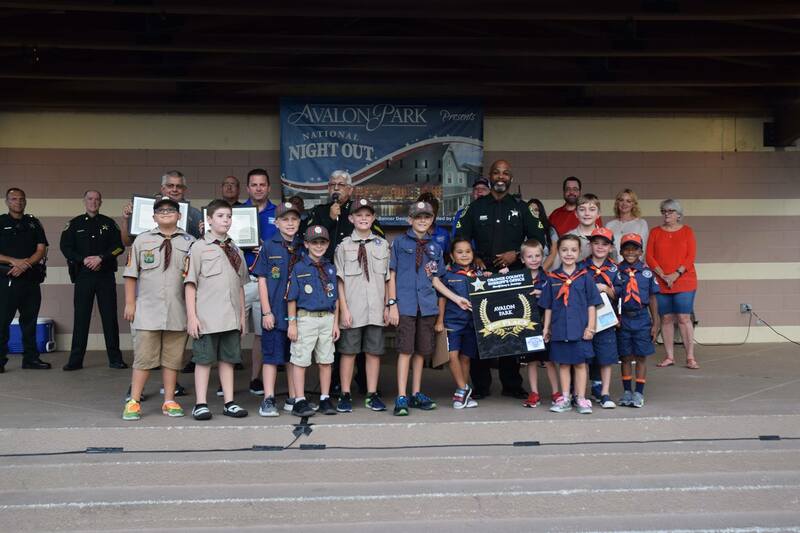 Orange County Sheriff Jerry Demings and his staff was pleased to attend several National Night Out events this week to promote crime prevention in the community. The annual event aims to promote relationships between law enforcement and the community to help increase safety. Thank you to all of the communities that participated! 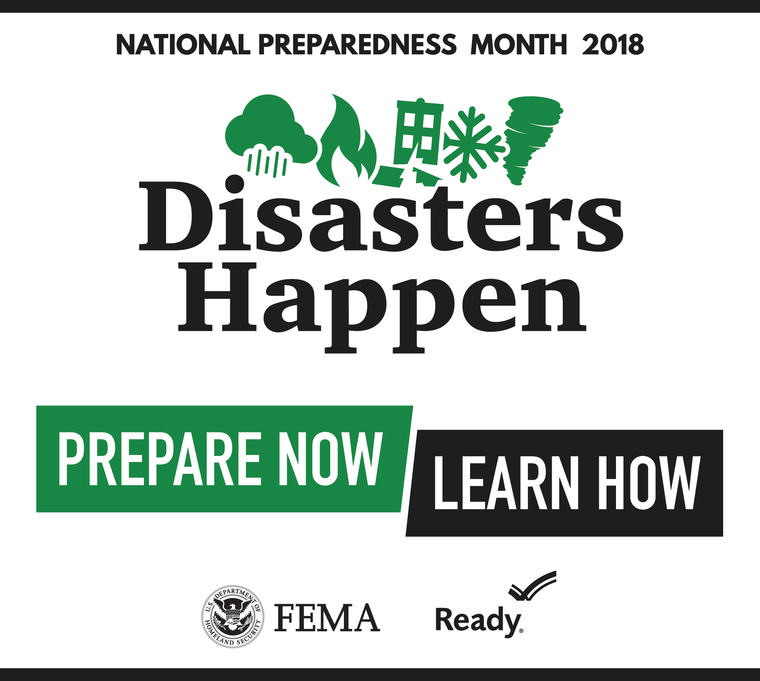 September is National Preparedness Month. The Orange County Sheriff's Office would like to remind residents to be prepared in case of an emergency. Below are some tips to help you prepare. Make a disaster plan and practice it. Know basic home maintenance to protect your home and family. Put smoke alarms on every level of your home, test them monthly, and replace when they are 10 years old. Be prepared for a power outage by having enough food, water, and medication to last 72 hours. Always make sure you have spare batteries. Consider buying flood insurance before a storm. Make digital copies of important documents and keep documents in a waterproof and fireproof container. The Orange County Sheriff's Office is hosting a career fair for both civilian and law enforcement positions. Our recruiters will be on-site to talk to potential applicants about the opportunities with the Sheriff's Office. View all of our civilian and law enforcement positions on our website. 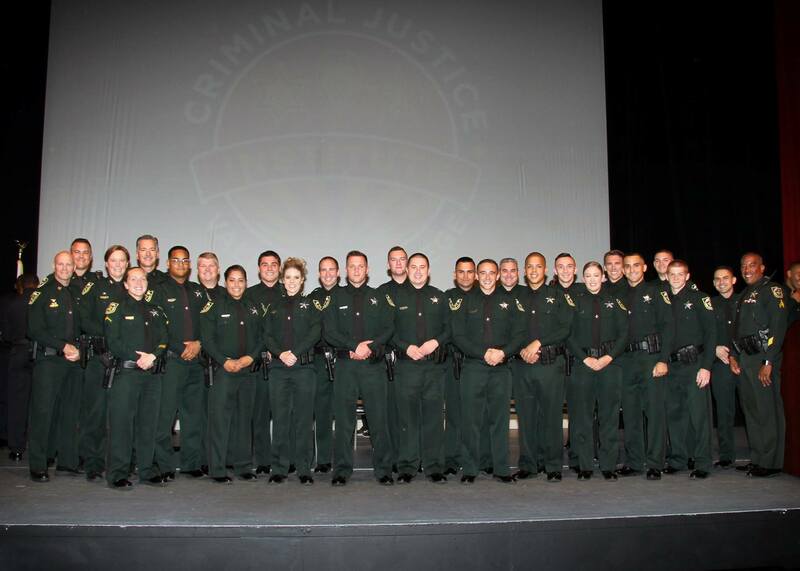 The Orange County Sheriff's Office welcomed welcomed 18 new recruits and 14 new certified deputies in August. We look forward to working with the new deputies. 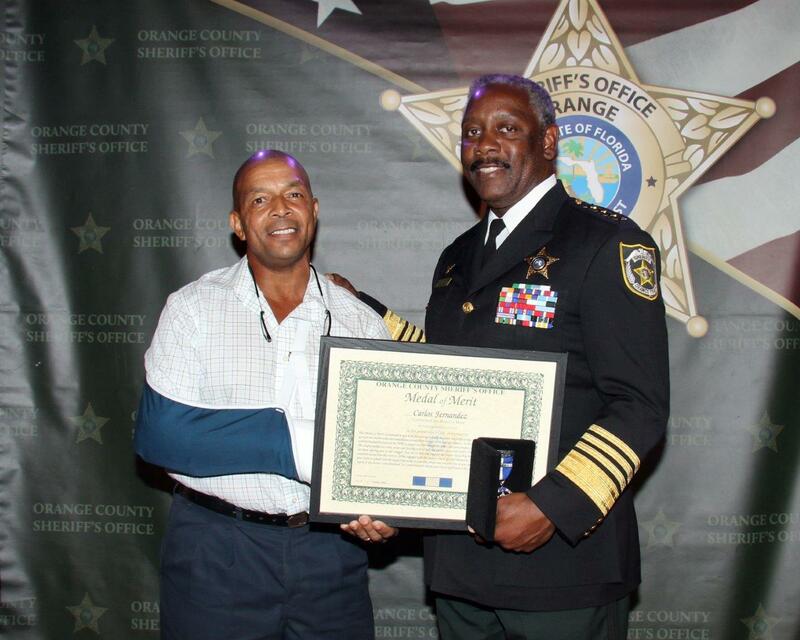 On August 21, Orange County Sheriff Jerry Demings proudly presented several awards to agency employees and members of the community. The following were honored for their outstanding service to the community. We thank ICP Orlando Church for opening your facility to us for the Award Ceremony. On Thursday, August 9, 2018, the Orange County Sheriff's Office unveiled a beautiful new memorial monument dedicated to those that gave their lives serving Orange County. The monument is located outside of the Sheriff's Office Central Operations Complex. We will never forget those that made the ultimate sacrifice for the citizens and residents of Orange County. On Friday, August 3, the Orange County Sheriff's Office welcomed faith leaders from area places of worship to attend Part II of the Safety and Security Summit. This was a follow-up workshop to January's seminar regarding keeping places of worship safe. Participants heard topics such as crisis response, conflict de-escalation, and litigation risks. We are proud to partner with places of worship in the community to keep all residents and visitors safe and secure. OCSO wishes Salem a Happy Retirement! After 11 years of proud service, our Mounted Unit wishes Salem a Happy Retirement. Salem will be retiring to Mill Creek Farms in Alachua County, Florida. Salem was donated to the Orange County Sheriff's Office in 2007. He is a 17 year old Dutch Warmblood that stands 17 hands tall. His magnificent career with OCSO has seen him train many deputies and attend various events across the states. He will be missed, but he will join other retired OCSO Mounted Unit mounts Roman, Hollywood, and Dylan. 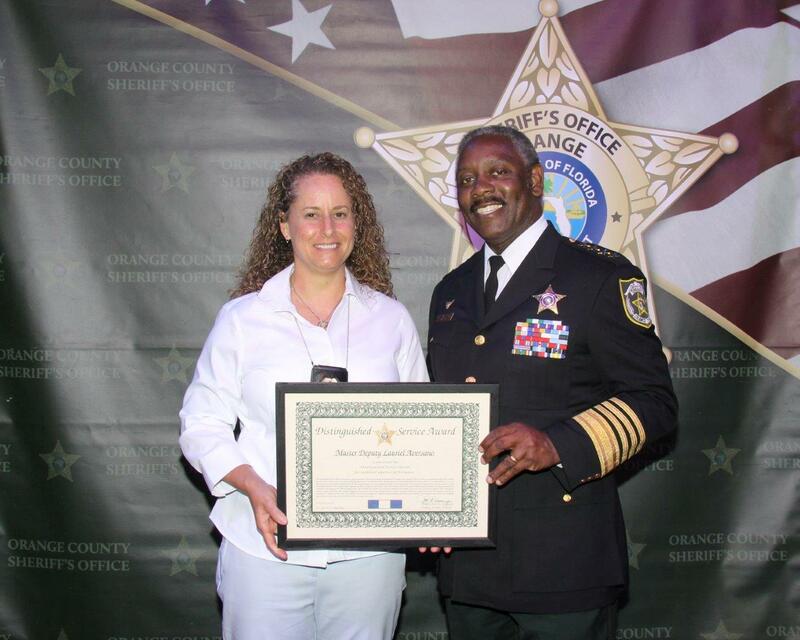 On June 26, Orange County Sheriff Jerry Demings was pleased to present several awards to agency employees and members of the community. The following were honored for their outstanding service to the community. We thank Majestic Life Church for opening your facility to us for the Award Ceremony. The Orange County Sheriff's Office needs your help finding a missing person that may be in danger. 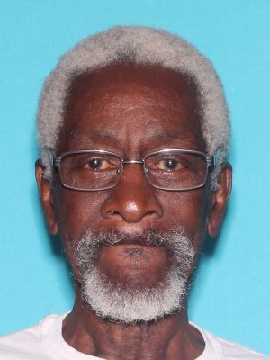 On Sunday, November 26, 2017, at approximately 4:00pm, Alfred Pearson walked away from his residence located on Dewberry Avenue, near the intersection of Hermit Smith Road and Highway 441 in North Apopka. He was last seen wearing a white t-shirt, blue jeans, and black tennis shoes. There is concern for Alfred Pearson's well-being because he suffers from dementia, which may cause him to become lost, disoriented, and unable to find his way back home. He also has a heart condition and needs his medication. Anyone with information regarding this case is urged to contact the Orange County Sheriff's Office at 407-836-HELP (4357). The Orange County Sheriffs Office wants you to "Make a Difference." Remain vigilant, be aware of your surroundings, and if you see something, say something. View the Department of Homeland Security's safety video for more information on how to spot and report suspicious activity. 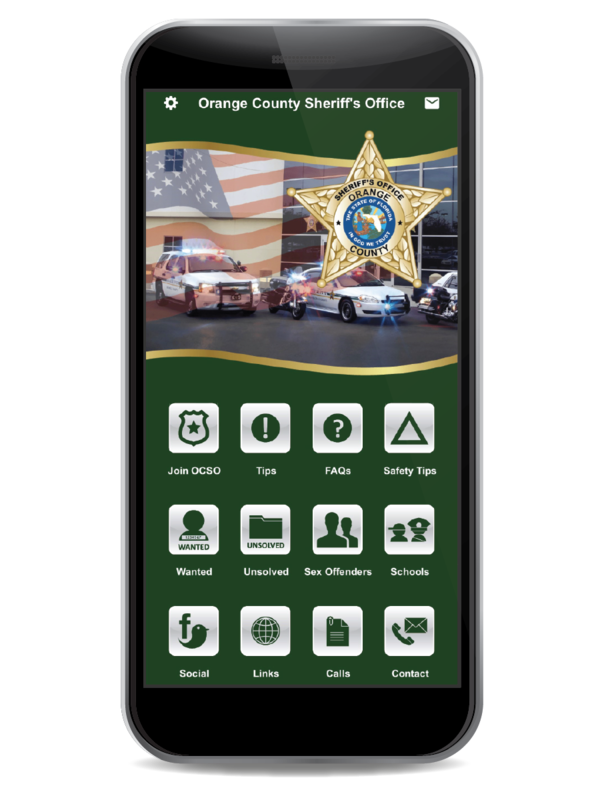 To view older stories posted on OCSO.com, visit our News Archives.